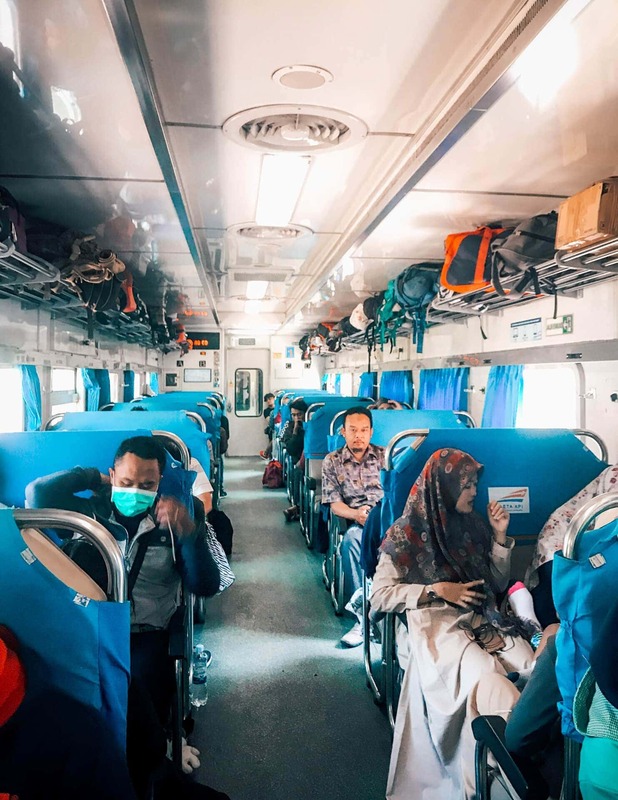 The Malioboro Train from Yogyakarta to Malang is the best way to get from city to city. This 8-hour ride is very comfortable for Asian standards. The route is even faster than with the car since the train is almost a direct ride to Malang. This train a great way of transport during your Java Route. It has a couple of very short stops in between. In Malang are two stations, make sure to get off at the last one. This is where you see Jodipan, the colorful rainbow village of Java. 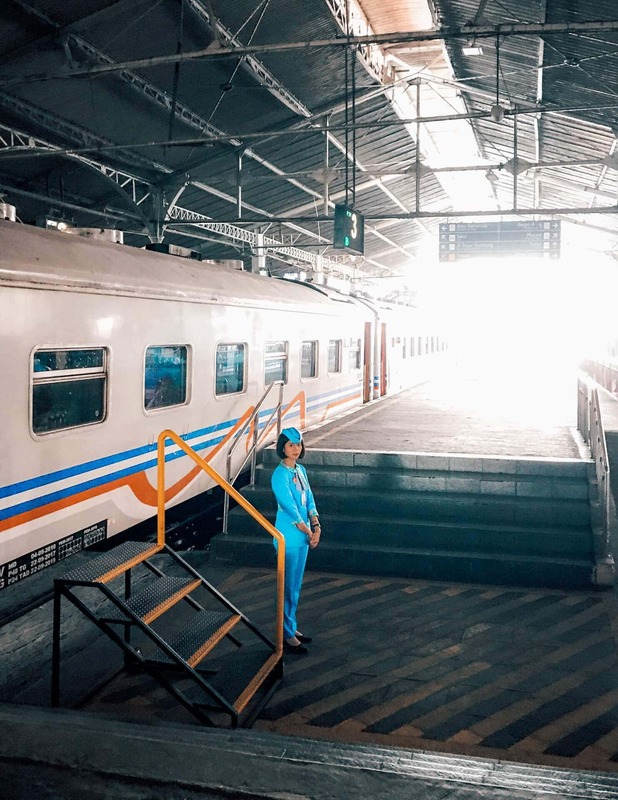 The Malioboro Express train departs at 7:45 AM and 20:45 PM from Tugu station in Yogyakarta and is always on time. Expect a train mostly occupied by locals. If you didn’t know this already, Javanese people are one of the friendliest in Indonesia. There is an AC in every cabin, the seats are just fine and you can store your luggage in the overhead compartment. You can take a suitcase but this has to stay on the walking path, which is not the most friendly for other passengers. Every four seats have two power plugs so you can charge your phone, tablet or laptop. There are good toilets in every cabin. The whole train is clean and kept clean throughout the whole train ride. 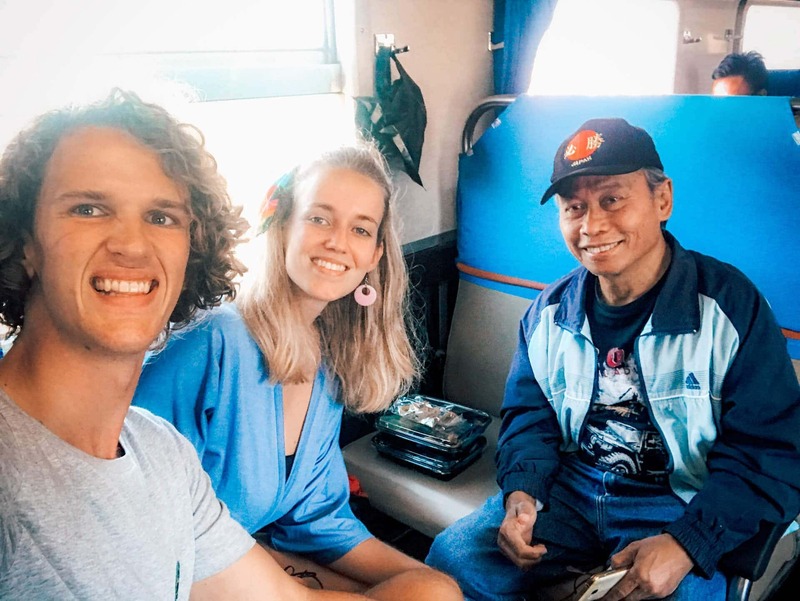 Once in a while, a trolly with two staff members passes who offer you an assortment of water, coffee, soft drinks, snacks, and Indonesian food. 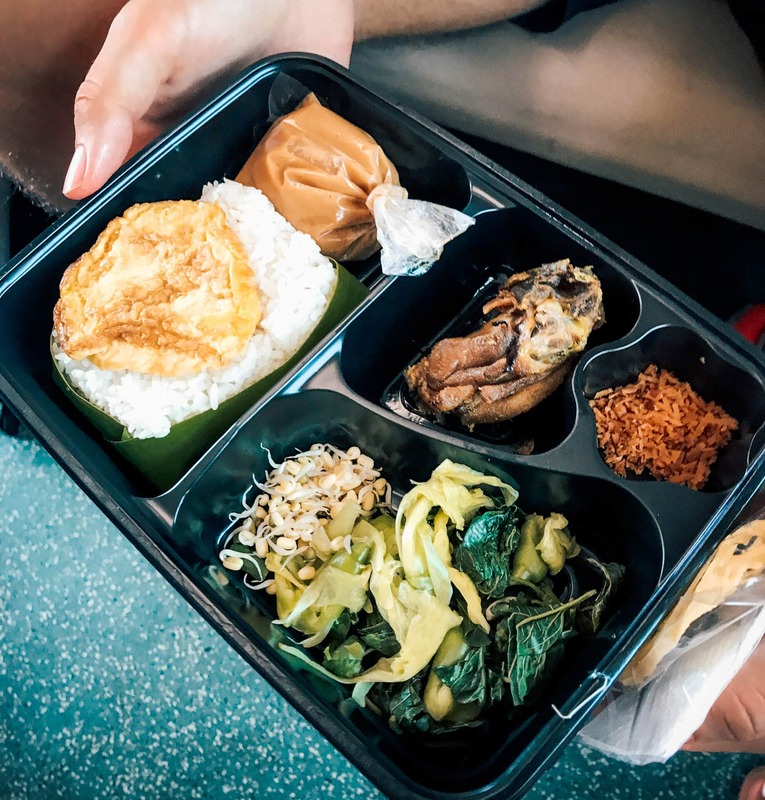 The Indonesian food costs us 25.000 IDR (1.70 USD) was fantastic and we even received snacks from a friend we made on the train. The train departs daily at 7:45 AM and 20:45 PM. The full ride takes almost 8 hours to Malang. You can order tickets online via Tiket.com. 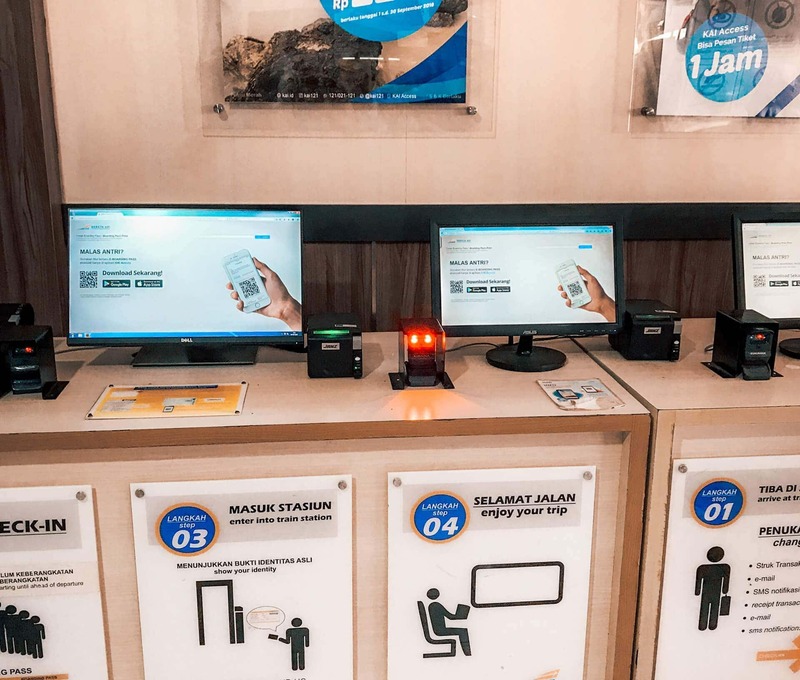 You will get an e-ticket that you have to scan while entering Tugu train station. Tickets costs around 180.000 IDR (12 USD) per person.